Unless he is willing to wait after the planned early 2019 Daniel Cormier vs. Brock Lesnar fight, or Lesnar ends up not matching up with Cormier, former UFC heavyweight champion Stipe Miocic will have to find another fight in the interim before another crack at the title. Meanwhile, the rest of the heavyweight division also looks to jockey for position to get a title shot at soon as possible — including 27-year-old Curtis Blaydes. According to Blaydes, the UFC has offered Miocic a fight with him on the Nov. 10 UFC 25th Anniversary card in Denver, and if that’s true and the fight takes place, it represents a big opportunity for Blaydes, currently ranked No. 3 in the promotion’s heavyweight rankings. 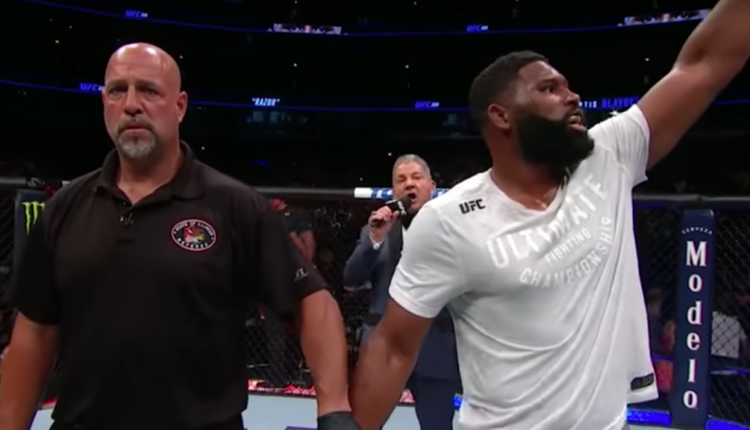 Blaydes jumped through the top 10 with his four-fight win streak from over the past year, including wins over Oleksiy Oliynyk, Mark Hunt and Alistair Overeem. The third-round TKO win over Overeem had some feeling Blaydes could be the No. 1 ranked contender. For Blaydes, a bout with Miocic is one that would prove a true No. 1 contender. “I don’t feel like it’s my right to tell another athlete, let alone another man, how he should feel about a situation, but if it were me, he has a legitimate claim for the rematch [against Cormier], but I also have a legitimate claim for a title shot now. It is what it is,” Blaydes said. “Neither one of us is going to get that title shot this year. We’ve still got five months left in the year. I don’t want to wait that long. I want to get another one in before the holidays start. “The UFC, they’re behind it, because like I said, it makes sense. It’s a good matchup, it would be a good fight. He’s good, I’m good, we’re both good wrestlers. My hands have gotten a lot better. I want to showcase the skills I’ve been developing, and I just think, because I live here in the Denver area, I live 15 minutes away from downtown Denver, so I feel like it’ll help me grow a fanbase here. This is where I live now. I don’t know how Stipe sees the callout … but I’m hoping he’s really considering it. Really, for him, it’s either he fights me or he waits until April. I mean, that’s a long wait. I want to make my argument for a title shot stronger. And that’s what Stipe does. Before Lesnar can officially have a title shot against Cormier, he must sit out the rest of his 2016-issued suspension from USADA — putting him out until January 8. Lesnar was suspended after failing drug tests stemming from his UFC 200 fight with Mark Hunt, which was overturned from a win to a No Contest. 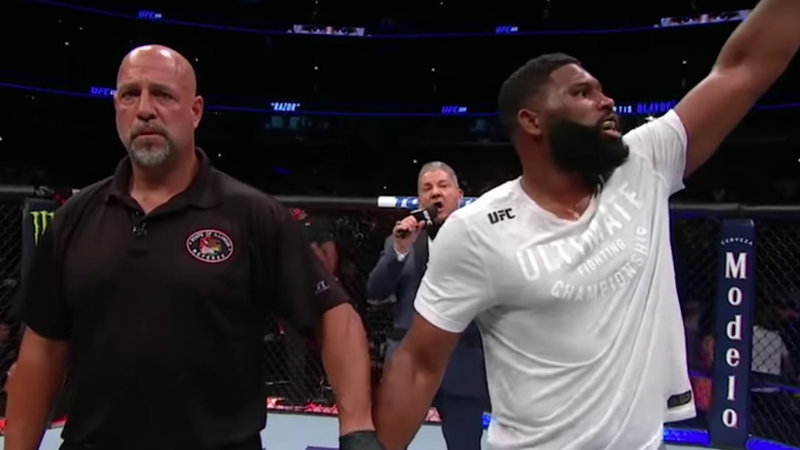 Blaydes is not thrilled with having to wait for a title shot, placing behind a man who hasn’t fought in the UFC since the one-off 2016 bout and has not won a UFC bout since 2010.